Euxoa westermanni is a distinctive northerly Euxoa found in northern British Columbia in our region. 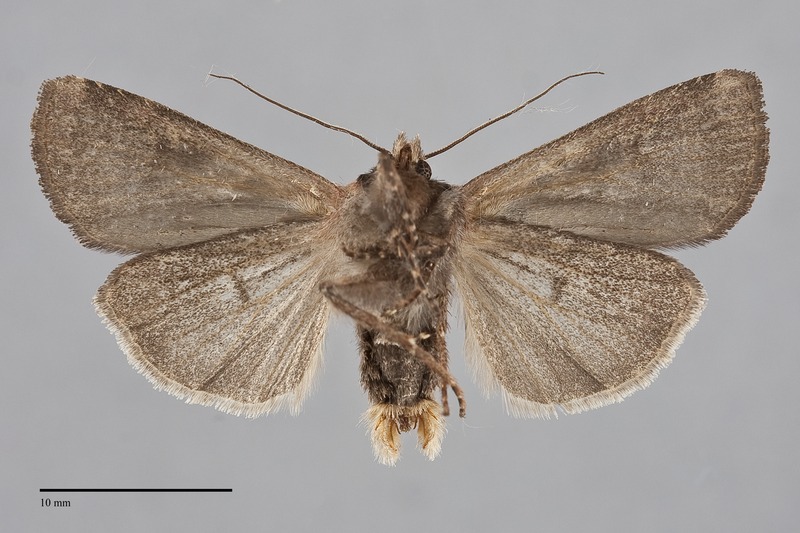 It is a small to medium-sized moth (FW length 14–17 mm) with dark brownish gray ground color and pale off-white costa and filling of the orbicular and reniform spots. The forewing color is dull purplish gray, slight redder toward the outer margin. The basal two-thirds of the costa are light gray. A black basal dash is present, and some specimens have black in the cell. The subterminal line is thin and pale, minimally irregular. The other transverse lines are weakly evident as small gray spots on the costa, and a the anterior portion of the postmedial line is a pale arc in a few individuals. The orbicular and reniform spots are partially outlined in black and are filled with light gray, slightly darker centrally. The orbicular spot is oval and the reniform spot is kidney-shaped. The claviform spot is absent or a few black scales. The hindwing is gray with darker discal spot, veins, and terminal line. The hindwing fringe is pale gray with a darker base. The head and base of the collar are pale gray. A black line across the mid-collar demarcates the red-brown tip. The central thorax is red-brown, darker purplish gray laterally in some specimens. Euxoa westermanni is a member of the subgenus Pleonectopoda, defined by the presence of a subbasal twist or coil in the male vesica. This distinctive species is easily identified by its purplish gray forewings, pale gray costa and spots, and red-brown thorax. It cannot be confused with any other species in its northern range. Euxoa westermanni is only found in north-eastern British Columbia in our region where it has been collected on Pink Mountain. This species is found in the Far North, from southern Greenland and Labrador, across arctic Canada to central Yukon Territory. The range extends south in the Rocky Mountains to Banff, Alberta. Adults are nocturnal and come to light in areas where it is sufficiently dark to run light traps. 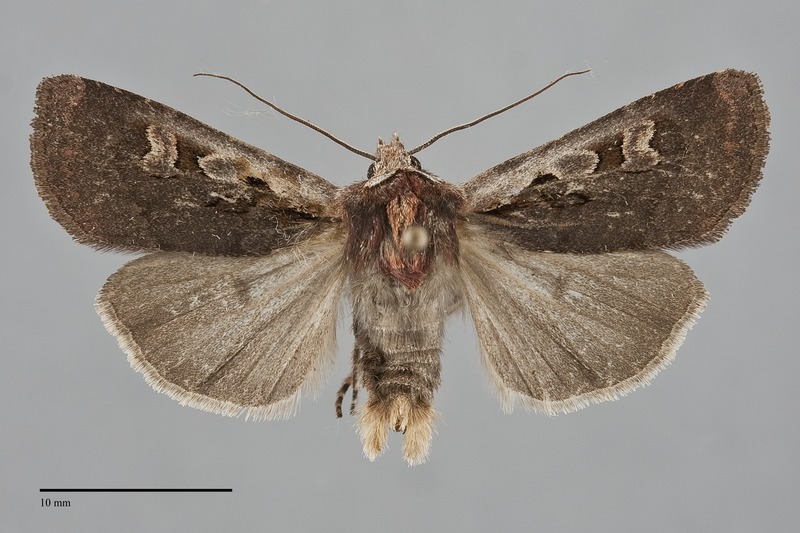 Specimens have been found during late July in Alberta.